Read INDA’s description of a nonwoven. Video: Nonwovens! What Are They? I have a fabric and would like to know what it is and what process was used to make it? Need help with product applications, testing or consulting? Search our Consultants Network. For more information, contact Jim Loftus at 919-459-3748 or jloftus@inda.org for information. INDA’s Online International Nonwovens Directory supplies contact and product manufacturing information to help you locate customers and suppliers for over 4,000 worldwide companies in more than 95 countries, under 500 product and service listings. (The Online Directory is updated daily). Customers can produce catalog lists, envelopes, and mailing labels with this option. (free for INDA members). 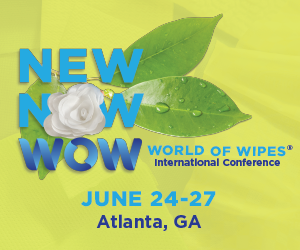 Would like to know the current market size of Nonwovens in North America? INDA publishes a variety of market reports on nonwovens. See our Bookstore for more information.